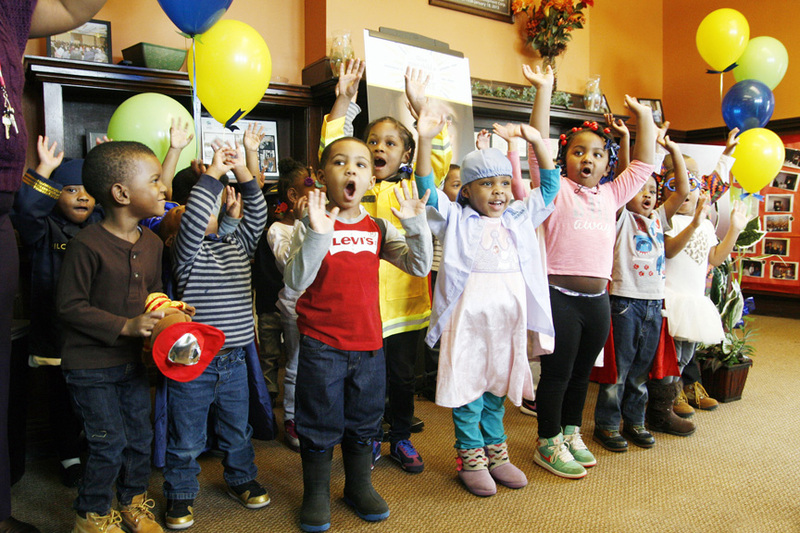 Look out world: nearly one thousand bright-eyed and eager five-year-olds and their families are ready to move on to Kindergarten and graduate from high-quality Head Start preschools around Greater Cleveland in late May and throughout June. Dr. Jacklyn Chisholm, president and CEO of the Council for Economic Opportunities that oversees the largest Head Start program in Ohio will give a brief address to children and families this Thursday, May 26 at 10 a.m. at the Louis Stokes Head Start 4075 East 173rd Street in Cleveland. This school year, nearly 2,500 children attended Head Start preschool increasing socialization and literacy skills. The nearly 1,000 children that will move on to Kindergarten will receive book bags with school supplies including pens, pencils and glue. Parents and guardians will receive a preschool completion certificate and records to share with their child’s Kindergarten teacher this fall. New for this year: Parents will be encouraged to share their proud moments on Instagram and Facebook using the hashtag #headstart4CLE kids. At the Council’s Head Start Moving On events across Cuyahoga County, the organization will invite parents and guardians to continue to engage and learn through personal, family and professional development workshops offered through three Neighborhood Opportunity Centers throughout the summer months. Family development specialists will be available at information tables to sign parents up for one-on-one counseling sessions, summer workshops, classes and professional development coaching. The Council for Economic Opportunities in Greater Cleveland is a nonprofit organization and the Community Action Agency for Cuyahoga County that operates programs and services dedicated to transforming the lives of residents. The Council delivers education, personal and professional development programs and support services to residents of Cuyahoga County. Programs include Early Head Start (birth to three) Head Start (three – five years of age); individual assessments for classes and coaching sessions on topics including parenting, anger management and life skills; and professional development: job readiness, customer service training and job placement. The Council also delivers the Home Energy Assistance Program (HEAP). For more information visit ceogc.org. The Head Start program is a commitment to give every child, regardless of circumstances at birth, an opportunity to succeed in school and in life. In the 50 years since its inception, Head Start has improved the lives of hundreds of thousands of children and their families in Greater Cleveland. The program teaches basic concepts in math and literacy, social skills and working independently and in groups better preparing children for Kindergarten and success in life. The Council operates 17 high-quality Head Start locations serving nearly 2,500 children and their families throughout Cuyahoga County. Centers are PRE4CLE and four-to-five star Step Up to Quality certified. For additional information about Head Start visit ceogc.org.